In a recent #jobhuntchat, the topic of the night was on interviewing. A question came up of “Which questions scare you the most?” Many of the tweets were focusing on the “What is your weakness?” question. There are so many ways to answer this question. Some vote that there shouldn’t be a weakness question at all, because no one is perfect. Others worry about if they will be judged personally by what kind of answer they give. With so many points of view to this sticky question, everyone’s fear has been bottled up. Well, let’s take the fear out of this question. You need to think of an interview like it’s a game. Go into the interview with your own game plan for any possible question. Have a plan ready for any questions where you might display nervousness, or uncertainty. If you get thrown off by an unusual question, it’s okay to pause and think. Don’t start spitting out words that you first think of, or worst of all- wing it. Honesty and integrity within each answer is vital, because interviewers can tell when you are stretching the truth. Have canned answers to certain common questions that make you nervous. 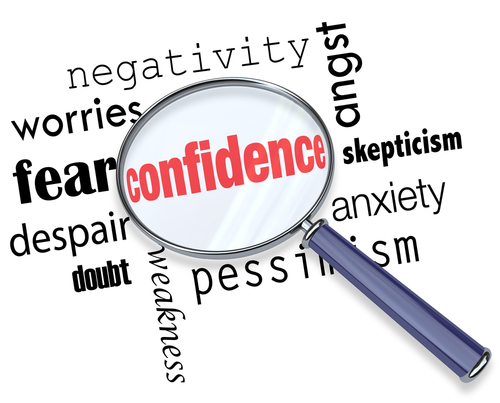 Remember to show your confidence in every answer- it’s alright to be just a little nervous! Everyone does have a weakness, so what’s the point in asking? The outdated question is just a cloud of negativity looming over every candidate. The traditional interviewer puts these types of negative questions into their process, only to find more negatives. What do interviewers walk away with in the end? A worried candidate, thinking they couldn’t show who they really were because the interviewer focused on the wrong question. Interviewers need to outweigh the negative aspect of the process by focusing their attention to the assets. Positives do outweigh the negatives, and by investing in this, the outcome will be better suited for the company’s culture. If you do find yourself being asked this ‘weakness’ question, turn your weakness into an area of growth for yourself. How can you make it into a quality to benefit the company? When answering an open-ended question, keep it under 30 seconds with a simple, direct, and upbeat tone. For example, if you don’t have much experience presenting, just say so. Avoid saying, “I’m bad at presenting, and I don’t feel comfortable in front of people.” Instead, say, “I could use some more experience presenting. I haven’t been given too many opportunities to do so and I would like to improve this skill.” There are always opportunities available to practice and improve quickly! No need to fret anymore! The interview process is not meant to be scary, but to showcase your skills. Go in with a game plan for yourself, and broadcast your challenges with a positive spin. Overcoming the ‘weakness’ with positivity shows the organization why you are the right person for this position and their organization. Take the fear out of the question.